Althea has wide ranging experience in immigration and asylum law. She regularly represents clients in the First Tier Tribunal and Upper Tribunal in immigration, asylum and criminal deportation appeals. She appears in the Upper Tribunal and the High Court in claims for judicial review of decisions relating to immigration, nationality, modern slavery and trafficking, unlawful detention and asylum. Althea represents businesses and individuals in immigration appeals and challenges concerning sponsorship licenses, civil penalties and rights of residence in European Union law. She can advise on rights under the Immigration (EEA) Regulations, the European treaties and the Ankara Agreement. 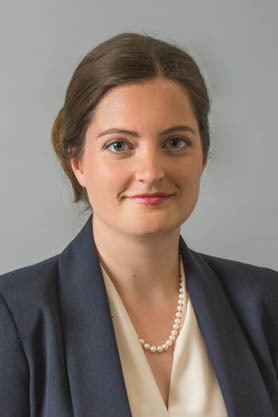 Her expertise in asylum law includes applications by refugees who are stateless or whose nationality is disputed, claims involving decisions to cease or revoke refugee status and subsidiary protection, and issues relating to exclusion from international protection. Althea has represented and advised victims of modern slavery and human trafficking at each stage of the National Referral Mechanism. She also has experience in related asylum appeals and applications for residence permits for victims of trafficking. Althea is happy to advise on the preparation of appeals at an early stage. She has experience working with vulnerable and traumatised appellants. Althea regularly provides training through chambers seminars. The Appellant successfully appealed a determination of the First-Tier Tribunal declining jurisdiction to hear an appeal against a refusal of further human rights submissions. The court granted an injunction restraining removal of the applicant pending his claim for judicial review. Judicial review of a decision of the Upper Tribunal (IAC) refusing permission to appeal a determination of the First Tier Tribunal dismissing his asylum appeal.